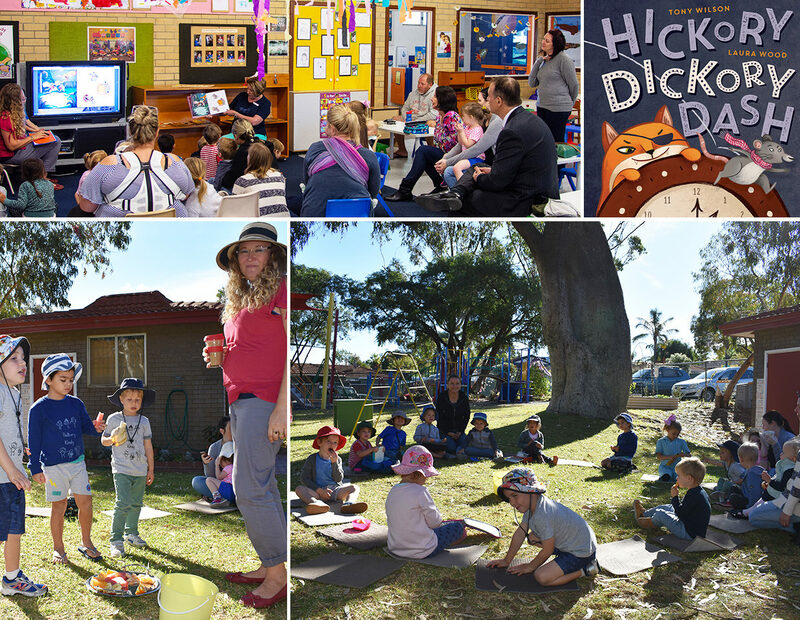 On May 23 Padbury Community Kindy opened it’s doors to the community to celebrate National Simultaneous Storytime, an event organised by the National Library and Information Association. Every year a picture book is read simultaneously in libraries, schools, kindergartens, family homes, bookshops and many other places across the country. It is a colourful, vibrant, fun event that promotes the value of reading and literacy and encourages a life-long love of books and reading – values very close to our own. This year’s chosen book was Hickory Dickory Dash, which was read aloud to students, parents and local families who joined in the fun. 1,062,230 people across the country took part in this event, across 8,255 different locations.